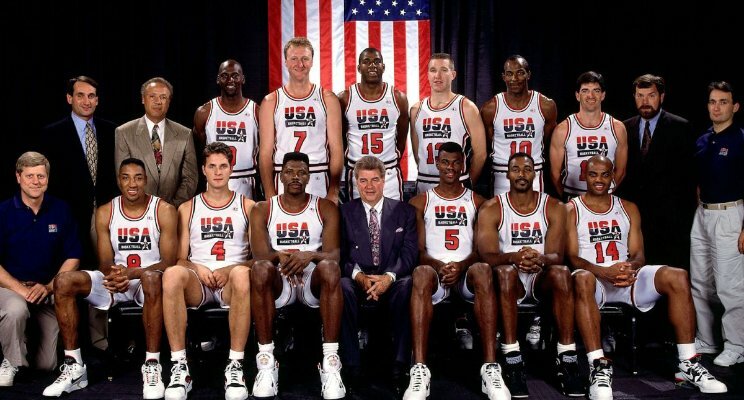 Mention “Dream Team” and immediately most think of championship sports teams. Businesses can dominate their competition if their team mirrors the characteristics of the most admired competitive athletic or business champions. Short term profit is great, but creating a team that understands how your business affects or changes lives is the path to establishing a legacy. My partner, Tariq Khan and I realized after attending many financial services business meetings that without the infusion of diversity into the fabric of these organizations, one third of the U.S. would not be receiving adequate financial services advice. We truly believe this and infuse this passion with our team daily. What’s your passion and how does your business affect lives? Our team members have individual unique abilities. As Dan Sullivan of the Strategic Coach teaches, focus only on what is your unique ability. Our team did not have a “player” who had business experience or contacts outside of the Financial Services industry. Mark Szollar has joined GDM, with an advertising and sales background, including almost 25 years at The New York Times Co. Mark has focused on print and digital sales and is known as a thought leader on diversity in the workplace. Additionally, often times, our clients hire us for product insights, specifically for the diverse market segments. Tariq and I approached Mark Hug, who was not only a Senior Executive Marketing Officer, but a brilliant actuary as well. Mark, formerly an Executive Vice President at Prudential, spent most of his career bringing focus to financial services marketing and distribution to various undeserved cultures in the U.S. Numerous times, while we focus on the diverse markets, many clients demand more insight on how to serve the LGBTQ and Special Needs market. We were fortunate to attract Lori Epstein, a well-respected attorney and an expert in estate, business and financial planning for Mass Mutual. Her passion is working with the women’s market, small business owners market and the market for special needs individuals. Many of our clients’ businesses have an international footprint and look for advice regarding their global strategy. GDM historically has had a domestic focus. Bob Zilg, has found our team, coming from MetLife as the Head of Strategy & Planning for their Europe, Middle East and Africa Region. His 40+ years of experience has been focused on new business development, strategy and M&A in the international arena. To make progress in any of these 3 essential steps, the leaders of the business must honestly evaluate the greater good of the products offered, the blind spots in one’s unique ability and what customers are demanding globally.